Influenza diversity in dogs has increased so much that the type of combinations of viruses that can be created in dogs represent a potential risk for a virus to jump from a dog into a human. Dogs are a potential reservoir for a future influenza pandemic, according to a just-published study. Fifteen years ago, researchers documented an influenza virus in a horse jumping into a dog, and this created the first circulating canine influenza viruses. Five years ago, researchers identified an avian-origin H3N2 canine influenza virus circulating in farmed dogs in Guangdong, China. 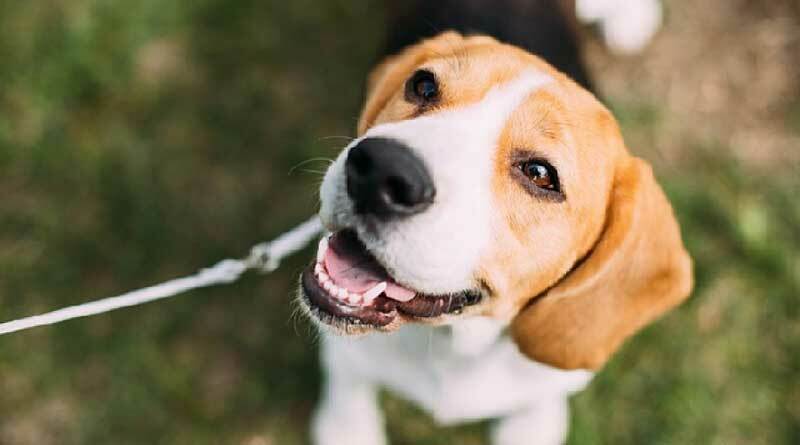 The latest study, reported in the journal mBio, shows that influenza virus can jump from pigs into dogs and that influenza is becoming increasingly diverse in canines. “The majority of pandemics have been associated with pigs as an intermediate host between avian viruses and human hosts,” said study investigator Adolfo García-Sastre, who is director of the Global Health and Emerging Pathogens Institute and principal investigator at the Center for Research on Influenza Pathogenesis at the Icahn School of Medicine in New York City. Influenza can jump among animal reservoirs where many different strains are located; these reservoirs serve as mixing bowls for the genetic diversity of strains. Pandemic influenza occurs when viruses jump from animal reservoirs to humans. With no prior exposure to the virus, most people do not have immunity to these viruses. The main animal hosts for influenza are wild birds, poultry, other domestic birds in flocks, pigs, and horses. Some of the viral genes from the 2009 pandemic H1N1 virus originated in birds, from an avian virus that jumped to pigs, exchanged some of its genes with previously circulating swine viruses and then jumped from pigs into humans. Birds and pigs are major reservoirs of viral genetic diversity, whereas equines and canines have historically been restricted to one or two stable influenza A virus lineages with no or very limited transmission to humans. “In our study, what we have found is another set of viruses that come from swine that are originally avian in origin, and now they are jumping into dogs and have been reassorted with other viruses in dogs,” García-Sastre explains. Specifically, in the new study, the researchers sequenced the complete genomes of 16 influenza viruses obtained from dogs in the Guangxi autonomous region in southern China during 2013-2015. The researchers found that the genomes contained segments from three lineages that circulate in swine in China: North American triple reassortant H3N2, Eurasian avian-like H1N1, and pandemic H1N1. In addition, the swine-origin H1N1 viruses were transmitted onward in canines and reassorted with the CIV-H3N2 viruses that circulate endemically in Asian dogs, producing three novel reassortant CIV genotypes (H1N1r, /H1N2r, and H3N2r). The viruses in the study were collected primarily from pet dogs presenting with respiratory symptoms at veterinary clinics. Dogs in certain regions of China, including Guangxi, are also raised for meat and street dogs roam freely, creating a more complex ecosystem for canine influenza virus transmission. “The new virus we have identified in our study is H1N1, but it comes from swine and is of avian origin, so it is different antigenically from the new H1N1s that were seen in the pandemic and a different origin as the previous H1N1 seen in humans,” García-Sastre says. Future studies will focus on characterizing the virus further and assessing, using human sera, whether humans have existing immunity against canine H1N1 or not. “If there is a lot of immunity against these viruses, they will represent less of a risk, but we now have one more host in which influenza virus is starting to have diverse genotypic and phenotypic characteristics, creating diversity in a host which is in very close contact to humans,” he says. The research team says it is time to think about ways to restrict the circulation of the influenza virus in dogs. The United States is free of avian influenza because every time avian influenza has been detected in poultry, the chickens or turkeys are culled and eliminated from circulation, García-Sastre notes. Other key study collaborators in the latest research are Martha Nelson, a specialist in phylogenetic analysis and transmission reconstruction at the Center for Research on Influenza Pathogenesis, and Ying Chen, an influenza surveillance specialist who brought the samples from China. Thanks researchers for looking ahead with this.